18 Dogs That Are Too Funny To be Dogs! Trying to Choose Low Maintenance Pets or Emotional Support Animals? Puppies can be demanding and a pet rock may be way too stationary for you, but there are a number of low maintenance pets you may consider if you’re looking for a less demanding animal for your household. If you decide to make your pet become your Emotional Support Animal, we can help prescribe you an ESA letter to help you live in no-pet housing units or fly in airplanes with it! 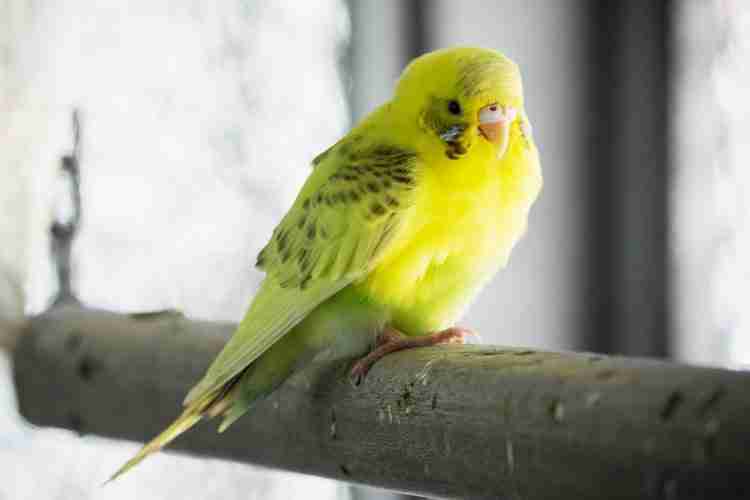 The budgerigar (or budgie) is also known as a parakeet that is way smaller and has a shorter lifespan than their demanding cousin – the parrot. Budgies will learn words and perch on your finger while speaking to them! But if you want a talker, make sure you get a male bird (the word skill is generally stronger in males.) If developing a strong bond with the bird is important to you, then you’re better off with only one because you’ll become his default flock. If you get him the company of another budgie you’ll discover that both birds will bond less with you and more with each other. The budgie will live from 5 to 15 years which is not as long as a parrot’s 25 to 30 years, but it’s still a good lifespan. Another low maintenance pet is the Guinea Pig. This little fellow will squeal with delight and ‘popcorn’ when happy. Pop-corning is when a Guinea Pig kicks its heels into the air and jumps for joy. Unlike other rodents which are nocturnal, the Guinea pig is a napper, so they’re up and down and usually awake when your kids are home from school. They’re also not like the biting hamster who requires a hamster wheel to work off excess energy throughout the night. A Guinea Pig’s lifespan is from 4 to 6 years. Known for their gentle disposition, this beautifully patterned lizard tolerates handling gracefully. They rarely grow longer than 10 inches (which is slightly smaller than the run of the mill T-Rex) so you don’t have to worry about having a large lizard in the house. Adult lizards can be fed on alternate days and be left alone on the weekend without worry. Their food consists of live crickets and mealworms which are available at your local pet store. Housecleaning is very nice also because they usually designate a corner of their cage for their everyday bathroom duties. Take note that these lizards require an under the tank heater to remain in good health. They’ll also need a humid type shelter (available in pet stores) filled with wet mulch. The only real concern with this lizard is it can carry salmonella bacteria on its skin, so washing your hands after handling it is a must! Their lifespan is from 10 to 20 years. This is a good low maintenance pet reptile but make sure you provide the right environment for your turtle to thrive. Some turtles need a large fish tank or a small pond as well as a filter and pump and a UV light for basking. Turtles can be affectionate and fun. They can also live quite a long time if handled properly. If you’re looking for a low maintenance pet that is fun to watch and easy to clean, then the African Dwarf Frog may be for you. You can clean their tank just like you clean your fish tank but less often. They’re not real messy but their food often dirties the water more than their waste. If the water temperature drops below 70 degrees, then they’ll need a heater. They shouldn’t be placed in deep tanks because they’re not the greatest of swimmers and attempts at reaching air could be stressful for them. Getting a pet, any pet, whether low maintenance or high, is a very important decision for your household. Figuring out what pet suits you and is best for your situation requires you to do some research on what type of animal you want to be part of your family. Even the lowest maintenance pet needs some attention and care, so if you can’t spare the time required for that particular animal, then perhaps you should reconsider purchasing that pet rock! Getting a pet, any pet, whether low maintenance or high, is a very important decision for your household. Figuring out what pet suits you and is best for your situation requires you to do some research on what type of animal you want to be part of your family. Even the lowest maintenance pet needs some attention and care, so if you can’t spare the time required for that particular animal, then perhaps you should reconsider purchasing that pet rock!Nice post….. I agree that you want to figure out what type of pet best suits your needs before you choose them. It would make sense to find an emotional support animal that is not high maintenance and can help you out. My sister wants an emotional support animal, so she’ll have to consider the maintenance involved before she adopts one. My sister is in need of a service animal. I think that a cat would be good for her and I appreciate your advice that they would be low maintenance. My husband wouldn’t be able to visit since he’s allergic, but it would be great for her! Your sister may want to consider the Devon Rex breed of cat. They are somewhat hupo-as alllergenic, and have very interesting persoaslities. And seem a bit more affectionate than other breeds.